Every man I knew went to bed with Gilda... and woke up with me. 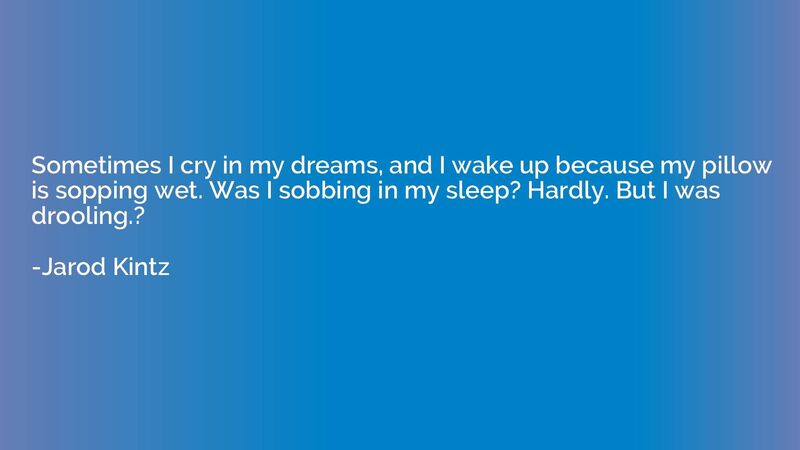 Sometimes I cry in my dreams, and I wake up because my pillow is sopping wet. Was I sobbing in my sleep? Hardly. But I was drooling. ?